Project: As a multiple media artist, Scott need to create a website that could showcase all of the different medias he works with in. This was done by creating different navigation tabs for books and music, as well as a gallery, events reel, and updated news. 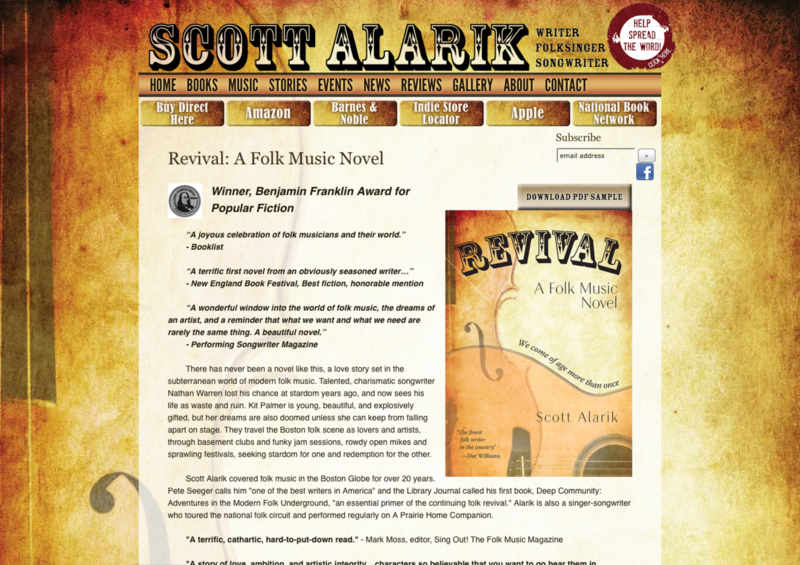 Summary: Scott Alarik covered folk music in the Boston Globe for over 20 years. Pete Seeger calls him "one of the best writers in America" and the Library Journal called his first book, Deep Community: Adventures in the Modern Folk Underground, "an essential primer of the continuing folk revival." Alarik is also a singer-songwriter who toured the national folk circuit and performed regularly on A Prairie Home Companion.